John Deere has launched a PIN code locking system to help deter the theft of valuable GreenStar in-cab displays and StarFire satellite receivers. 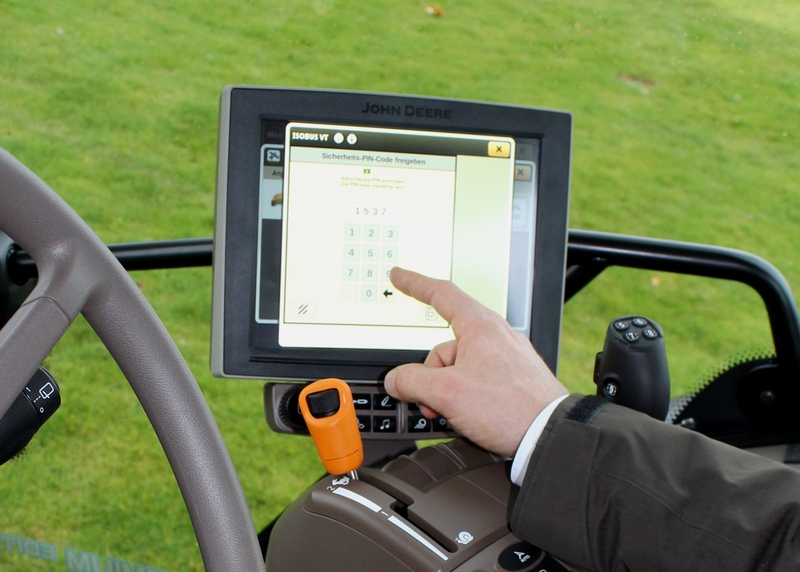 John Deere reckons that the ‘plug and play’ concept of its displays and GPS receivers, which until now could only be locked and protected mechanically, has made them more susceptible to theft than some other systems on the market. The new PIN code protection changes this and makes it impossible to use the components if they are stolen. Similar to the built-in system used on smartphones, the code for the display and the receiver can be entered via the display. Available now for 4240 and 4640 universal displays and the StarFire 6000 receiver, if the user forgets the code, they can continue working for a maximum of 72 hours. After this a master unlock code is required. This latest security feature complements the range of precautions already available from John Deere to deter thieves. These include the CESAR Datatag security system, as well as an immobiliser system whereby the key has a transponder unique to each individual tractor. Other security related items include lockable fuel tank caps and separate door lock keys, as well as immobiliser systems from John Deere owned firm Vapormatic.